I wasn’t out of my car for seven seconds when a guy approached me in the gravel parking lot of the Hill Farmstead Brewery in Greensboro Bend, Vermont. “You getting Damon?” he asked with a sense of urgency. No pleasantries, no greeting, just a blunt question. I replied honestly that I didn’t know, since I didn’t know what it was and walked past. I was propositioned by three other gentlemen with the same question before I made it to the front door. I soon came to find out that Damon is a bourbon barrel-aged imperial stout made by the brewery in honor of a beloved dog. It comes in 500-mL bottles, retails for $22 and is limited to one per person. I’m looking at the one I purchased here on my desk as I write this. On my way out a fifth guy offered me triple the price I just paid. 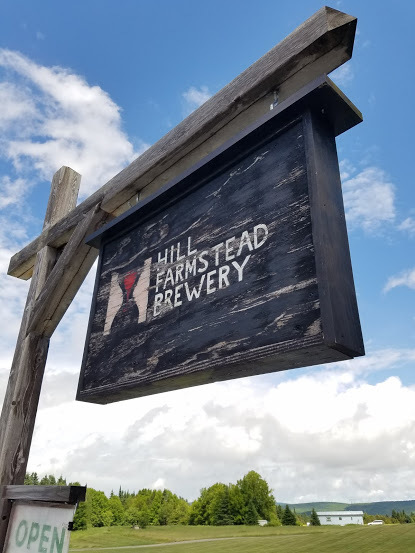 Hill Farmstead is a remarkable brewery making many fantastic beers. It brings people to a remote part of Vermont, down long distances of dirt road. Fans and enthusiasts come with high expectations and empty trunks. I watched as many took selfies with their glasses and checked in online, too, I’m sure, the great envy of their friends. Here the experience is all about the beer, the bragging rights, the desire to get that second bottle of Damon. Many of these beers, I suspect, will wind up on forums and then packed up and mailed to a new home in exchange for other beers or cash. Trading has never been more popular among beer fans, and in this issue Oliver Gray looks at the benefits, pitfalls and problems with the practice. It was indeed a gorgeous day. Temps in the low 80s, clear blue sky with only a few high fluffy clouds. A breeze would pass through, and shade was provided by old, big, lush trees. We chatted for a while about jobs and family, about travel and other life experiences. The beer was delicious, but we didn’t need to go on about it, because it was only part of the experience. That night a local musician strummed cover songs while people danced. Phones mostly stayed in pockets, and conversation was loud and lively. In this column I’ve been harping about how we need to unplug, to enjoy the moments to focus on what’s important. And I realize that what’s important varies greatly for people. For the guys at Hill Farmstead, snagging a second bottle of a stout was important. For the folks at Harpoon, the ones sitting and chatting, or the ones with six-packs on the lawn playing corn hole, it was about being together and enjoying a stunning afternoon outdoors. Maybe we should all take the advice from the beers outlined in Ron Pattinson’s article on Page 32, the ones that take time to mature and get ready to be consumed. Maybe we should all slow down and focus on each other and a little bit of personal peace. 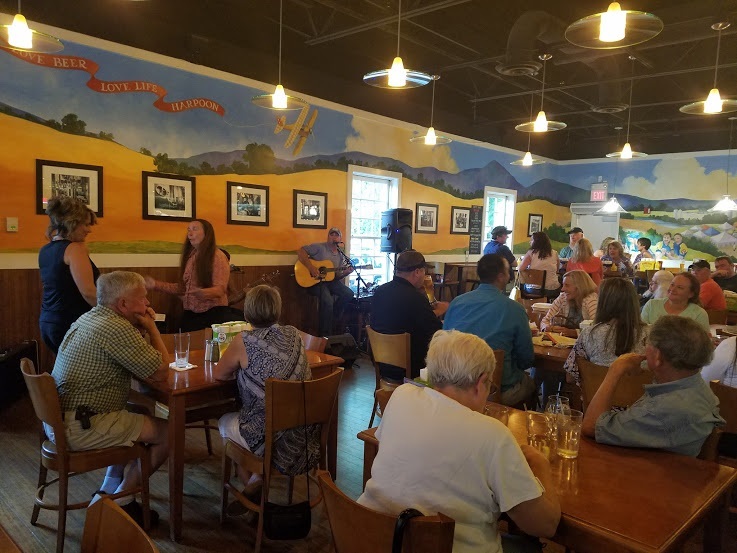 Your description of the attitude at Harpoon is the very reason the breweries in Temecula California have been battling with the city to allow patios and live entertainment not to mention the forced early closing hours. The Temecula city council members do not seem to grasp the fact that craft beer is about the experience and those who are looking simply to get drunk will be in a regular bar drinking their Bud/Miller/PBR and not looking for the relaxed atmosphere like you found at Harpoon. Had the pleasure of meeting numerous times with Shaun Hill, while he was brewmaster at the Shed, can’t wait to see my friend again. Cheers Shaun. im not at all surprised by your experience at hill farmstead(i have never been myself). Pretty much what i would expect for anyone to experience while visiting there. Its the part of the craft beer industry that im not a fan of. Last autumn, for the second year in a row, I was fortunate to visit Spain and experience, up close, the growth of the country s beer industry.